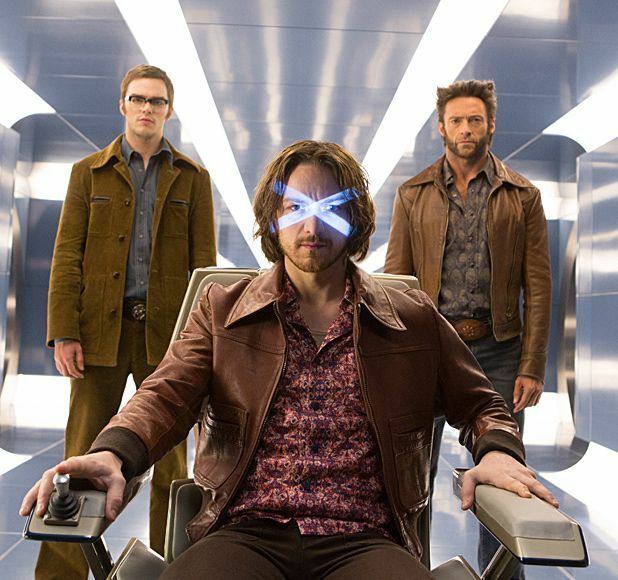 Where most superhero movies strive to win ever more fans by reinventing themselves with each new sequel, X-Men: Days of Future Past is content to reward the loyalists. Not only does it mark the return of co-creator Bryan Singer (for the first time since X2), it also brings back key players from those early movies while nodding to events in most, if not all, of the series’ past films. It’s an ambitious undertaking that's enormously entertaining in parts thanks to some slick direction from Singer and smart writing by Matthew Vaughn, Jane Goldman and Simon Kinberg. Singer opens proceedings with images of persecution, as the Mutants of the future (still led by Patrick Stewart's Professor X and Ian McKellen’s Magneto) face the prospect of extinction from a Sentinel army created by humans. In a last ditch bid for survival they send Wolverine (Hugh Jackman) back to the 70s to prevent the key event that shaped this future, tasking him with reuniting a younger X (now played by James McAvoy) and Magneto (Michael Fassbender) to prevent rogue mutant Mystique (Jennifer Lawrence) from assassinating a key official (Peter Dinklage). Given its time travelling scenario and links to past events, Days of Future Past requires you to pay attention and, even then, you may question whether it all makes sense. While the sheer volume of characters means that some – such as Halle Berry's returning Storm or Evan Peters’ new and brilliant Quicksilver (who steals the movie’s best moment) – get short-changed. The grand finale is also too effects heavy and includes a pay-off that threatens to undermine some of the more notable events of days past. But with the principal players all on top form, some arresting set pieces and a nice mix of humour and drama, Days of Future Past does more than enough to overcome its imperfections and keep fans satisfied. General release from Thu 22 May.